The Tarot’s 78 cards are called The Fool’s Journey because the images relate to every situation we can possibly experience in life, from birth to death to rebirth. 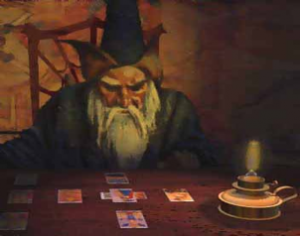 The cards can be used for personal insight and self reflection but they became more popular as a divination tool, where the reader uses a technique to associate their meaning with events and circumstances that have occurred in the past, are happening in the present and may take place in the future. The accuracy they deliver can be impressive. The cards may suggest possible outcomes but it’s unfair to say that the Tarot predict the future. It only indicates a pathway that you may or may not choose to follow. Only you can determine the outcome of a reading. There many theories about the origins of Tarot but its exact beginnings are still unclear. The evidence is still to be found. The Tarot first came to prominence during the 15th Century Europe. It is very probable that there were adaptations then. We can see evidence of the influences of that period in the court cards of the Minor Arcana. The court cards represent very typical personalities of those times. The interest diminished during the 17th century when people became more interested in scientific discoveries than spiritual awakenings. 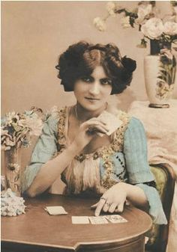 It flourished again in the late 18th Century with the renewed interest in mysticism and associations of the Tarot with distinguished occultists of that time. Carl Jung studied the Tarot for several years and related it to archetypes. It represents different aspects of humankind and the 78 Tarot cards can describe every situation we can possibly experience in life so they can be very helpful to self discovery. The Tarot has been adapted to all beliefs and cultural heritages, and as a consequence, it has become universal. 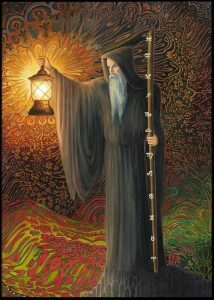 Today we can benefit from a fantastic diversity of decks to choose from such as The Arthurian Tarot, The Egyptian Tarot, The Mythic Tarot, The Romany Tarot, Osho Tarot amongst others. The Tarot contains 78 Cards divided into Major Arcana (also called Trumps) containing 22 cards and Minor Arcana with the remaining 56 cards. The first 22 cards depict the Fool’s journey where he goes through life reaching all stages including death and rebirth. They are always the most important cards as they point to key factors in the reading. The Fool, The Magician, The High Priestess, The Empress, The Emperor, The Hierophant, The Lovers and The Chariot describe our early development, parental influence, family, studies, religious beliefs, falling in love and becoming and adult. The Fool now is an adult and the themes are more related to moral values, personal development and the consequences of our choices. The Strength, The Hermit, The Justice, The Wheel of Fortune, The Hanged Man, The Death and The Temperance. They all link with situations that will involve mental balance or facing life on life’s terms. The last 7 cards are now following a more spiritual theme. Purification. We can easily come to this conclusion by paying attention to their names. The Devil, The Tower, The Star, The Moon, The Sun, The Judgment and The World. In order to gain personal enlightenment we must face our own darkness and fears to discover inner strength and light. I believe in afterlife so my view is that the Tarot is describing all cycles from birth to rebirth. Of course this meaning is personal to me and I am aware that there are many meanings for this including a symbolic death meaning closure which is what I naturally use in my readings. Zodiac: Cancer, Scorpio and Pisces. If you intend to read for others it is fundamental to know the cards not only individually but also what their combination can bring to the reading. This is the proper way. Even if you have the most amazing intuition you still shouldn’t rely entirely on that. Intuition is obviously very important but only good practical knowledge will give you tools to rely on when you find it difficult to connect with someone or if you are getting mixed messages from the card. In my experience the key for a successful reading is to combine good intuition with real knowledge so that the reading can be both insightful and realistic in equal measures. The Tarot doesn’t solve problems and excessive use for divination purposes is unhealthy to any individual. Responsible readers are aware of the risk involved and will not encourage dependency. The Mythic Tarot by Juliet Shaman-Burke & Liz Greene – a total joy. Rider Waite by A.E Waite & Pamela Colman-Smith – the deck of decks. Hanson-Roberts by Mary Hanson-Roberts – a delightful introduction. Tarot Illuminati by Erik C Dunne & Kim Huggens – perfection in every sense! Gilded Tarot by Ciro Marchetti – beautiful and precise. The Pictorial Key Tarot by Davide Corsi – classic fantastic. The Enchanted Tarot by Amy Zerber & Monte Farber – artistry at the highest level. Buckland Romany Tarot by Lissane Lake & Raymond Buckland – gypsy vibe at its best. The Witches Tarot by Ellen Cannon Reed – hard to find, easy to keep. These are just a few options for you to choose. There are many other decks equally interesting and as it usually happens your deck will find you. If you want to learn more about the Tarot feel free to contact me.